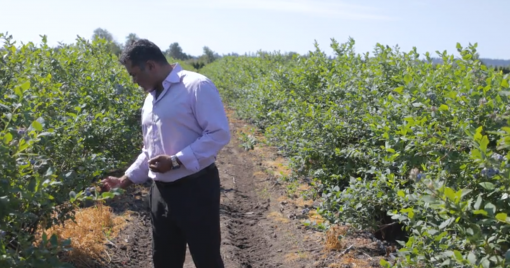 Silver Valley Farms is one of North America's largest blueberry growers, buyers and distributors. We take great pride in our products and services while providing strong support to our community of local growers and our network of worldwide customers. Growing the juiciest, plumpest and healthiest blueberries possible is what we do. Farming keeps us in touch with both the community and the land. After all, we want to ensure there are opportunities for future generations of blueberry farmers. Blueberries are known around the world for their remarkable health benefits and exceptional taste. We take a lot of care with our growing and processing techniques to ensure they meet the highest expectations. At Silver Valley Farms, we like to think of our growers as part of the family. We take time to get to know each of our growers and their farms so that we can provide them with the best possible training, advice and support. After all, they’re an important part of what we do. 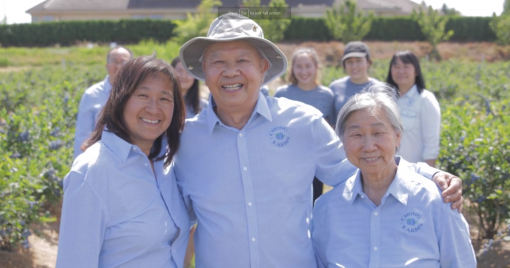 Expertise, availability and technical advice that they can count on: these are just three of the many reasons why Nancy Chong and her family enjoy working so closely with Silver Valley Farms. The relationship between M&M Pacific Coast Farms and Silver Valley Farms goes back more than a decade. For Paul Gill, a shared pride and mutual respect makes for a great business relationship. Individual successes translate into a stronger industry and a better community overall. We love what we do and we believe in giving back whenever we can. 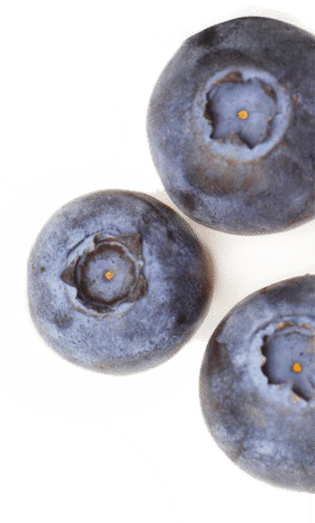 Fresh or cooked, classic or new recipes, bursting-with-goodness blueberries are always the right choice. And because they process so well, they’re always available, too. 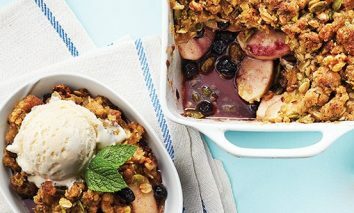 Add heart-healthy walnuts, fibre-rich flax and crunchy pepitas to the traditional oats and sugar topping. This blueberry quinoa power bowl is just that – power in a bowl. 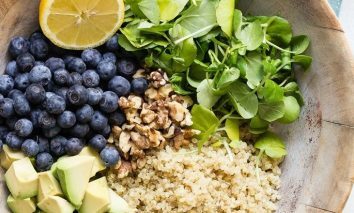 Packed with the goodness of frozen blueberries, walnuts, watercress and quinoa, the lemon vinaigrette adds a zesty kick to this bowl that’s perfect for spicing up work lunches. Okay, so the word “healthy” for this recipe is a tiny bit of a stretch. 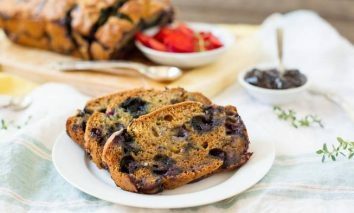 But this is indeed the healthiest recipe I’ve ever tried for a banana bread, and it still tastes as decadent as something with sugar and dairy in it. But this has zero refined sugar, zero dairy, and zero oils — and, if you wanted, this could be made with gluten-free flour as well. So it’s just about as guilt-free as you can possibly get for a sweet bread. 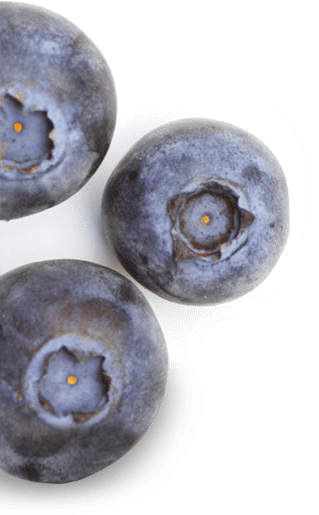 Silver Valley Farms strives to make our blueberries the best available. We’re attentive to the whole process – the land, the processing, the culture and the fruit. Whether you’re a grower or a buyer, we won’t disappoint you. Call us with your questions. We have a lot to share. © 2019 Silver Valley Farms. All rights reserved.